As long as people have been able to write, people have been making shopping lists. How people used shopping list was sometimes similar to some of the things we do with them today via modern technology. We often write shopping lists for ourselves to remind us of what we need to buy. Some shopping list apps offer a sharing feature as something new and convenient. But sharing shopping lists has also been a key part of shopping history, as many of the artifacts were meant to be shared. Another example are handy functions for adding photos to item details, like what Listonic has. This means you, or whoever you’re sharing your grocery list with, knows exactly what to buy. But Renaissance artist Michelangelo did this with hand drawn sketches hundreds of years before the first smartphone was even an idea found in science fiction. Regardless, it’s undeniable that these shopping lists, going back as far as 4 millenia, are genuinely fascinating pieces of shopping history. Some of these shopping lists even proved that the world was round, or might reveal when the early Bible was written! 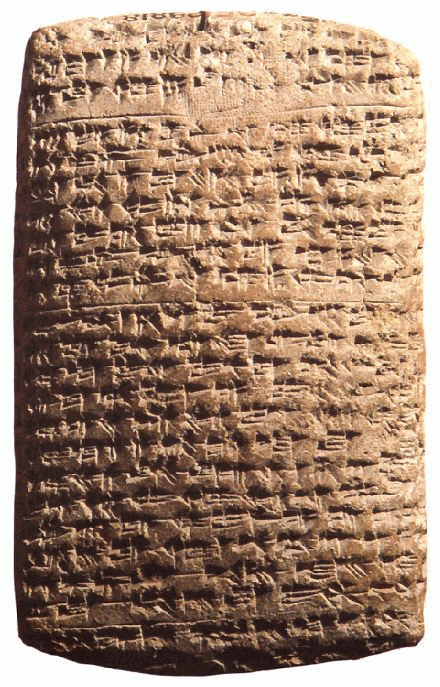 An example of a cuneiform tablet. 4000 years ago in the middle East, writing looked nothing like it does today. Cuneiform was a way of writing using a series of lines and symbols etched into clay tablets using “pens” made from the tips of reeds. It is considered the world’s oldest form of writing. What’s great about these tablets is that the ancient Mesopotamians used them to record pretty much anything and everything, from wages to shopping lists and recipes, giving us a comprehensive picture of the ancient empire. 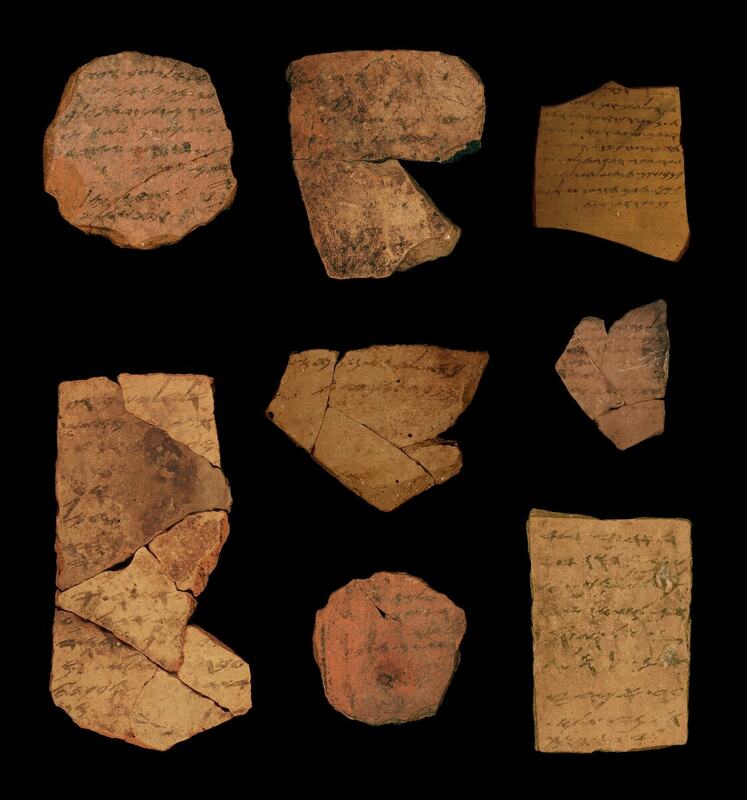 Indeed, from the various shopping lists and recipes found on these tablets, New York University’s Institute for the Study of the Ancient World even cooked up an ancient stew. You can buy a replica of one of these ancient shopping lists yourself and own a piece of shopping history. But good luck in trying to understand what you’re supposed to buy. It took archaeologists several hundred years before they could fully decipher the cryptic texts! Photographs of the ostracons found at the ancient Judean fort. Photograph courtesy of the New York Times. What’s really interesting is that these shopping lists could help archaeologists find out when the books of the Jewish Torah and Christian Old Testament were written. Historians argue that they were written much later in history than these ostracons. This is because literacy rates are not considered widespread enough for them to have been written during the time period of these shopping lists. However, these shopping lists prove that literacy rates may be much higher than previously thought, causing some to rethink their theories about how old the Bible and the Torah actually are. 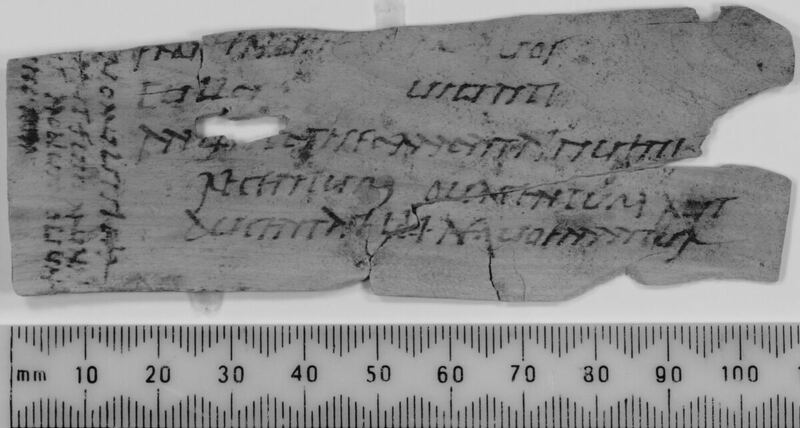 Tablet 302 from Vindolanda Fort, containing a shopping list addressed to a slave. ©The Trustees of the British Museum and The Centre for the Study of Ancient Documents. Hadrian’s Wall was the Roman answer to the Great Wall of China. Emperor Hadrian ordered the wall to be built (hence the name) to keep out the Picts: an ancient and fierce Scottish tribe. Archaeologist found hundreds of letter and documents at Vindolandia: one of the many forts situated along the 84 miles (135km) of the defensive structure. 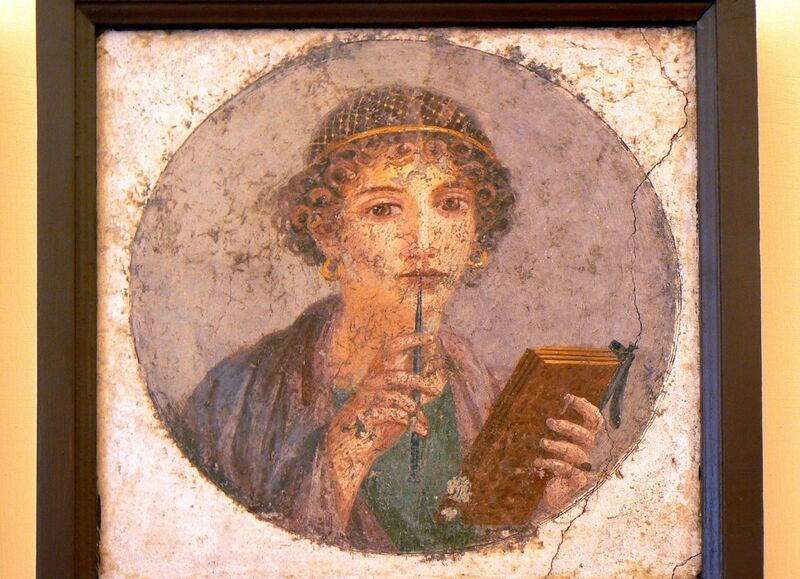 Ancient Romans wrote these in ink on thin pieces of wood, which has disappeared over time. But using infrared technology, archaeologists have been able to decipher their contents from the scratches left behind. Whilst many were administrative documents and letters, some were shopping list. One such shopping list, tablet 302 contains the following for a slave to go out and buy. 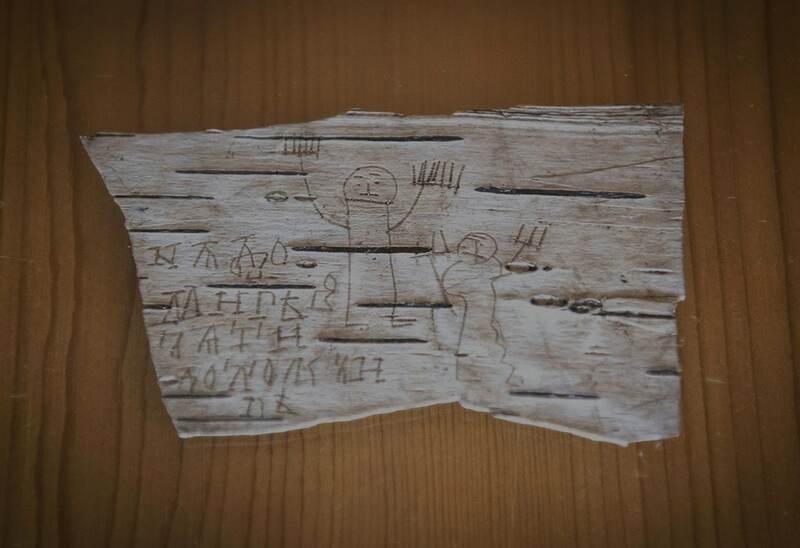 An example of a piece of writing on birch bark from Novgorod. Photograph courtesy of the New York Times. Novgorod is considered the birthplace of modern Russia as it’s the oldest and most influential of ancient Russian settlements. Here, archaeologist found pieces of bark from birch trees that have messages etched onto them, perfectly preserved in medieval mud. One such piece of shopping history is a shopping list from father to son. 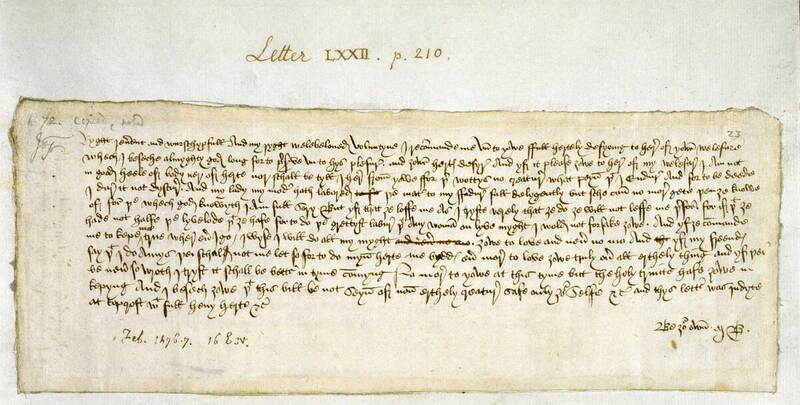 An example of one of the many Paston Letters. Photograph courtesy of the British Museum Board. Far more formal and administrative documents survive from Medieval times compared to personal documents such as letters. 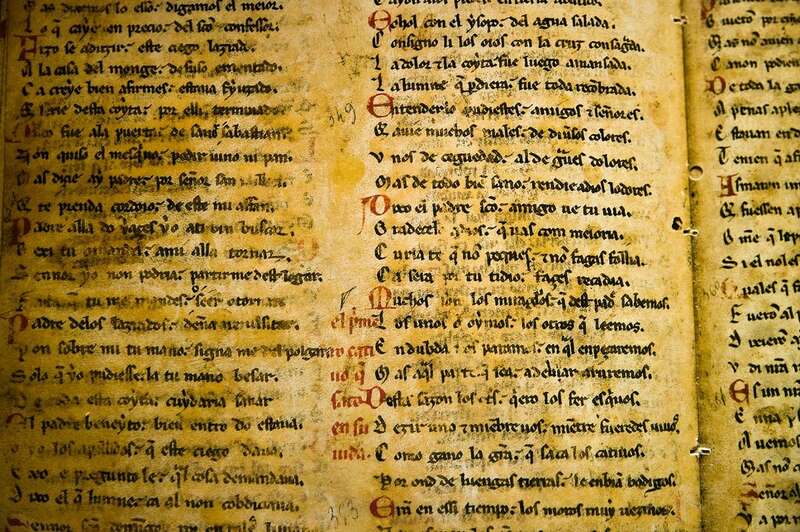 But when these personal letter do turn up, they give a detailed insight into Medieval life. The Pastons were a family of wealthy landowners. The matriarch of the family, Margaret, would often send letters to her husband whilst he was doing business away from home. Within the letters are shopping lists for imported goods only available from merchants in larger towns. Another letter contains a shopping list for crossbows, a key to wind them with, and bolts. This certainly was an interesting marriage! No, we’re not talking about the teenage mutant ninja turtle. We’re talking about the Renaissance artist. The shopping list is for ingredients for three unique meals. 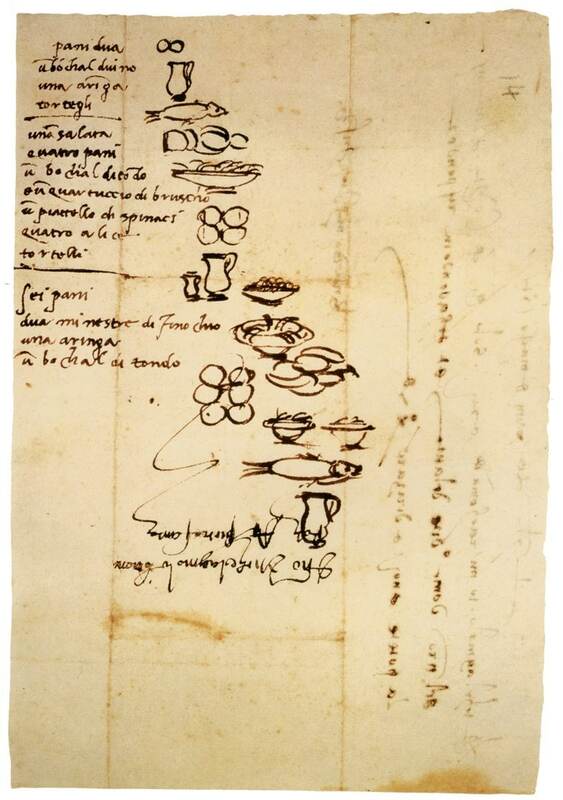 But Michelangelo also took the time to provide little illustrations of the items. Because this list was for his servant who was illiterate. For a man who created some of the world’s most luscious art, his dietary needs were actually quite humble. The list consists of items such as: a herring, anchovies, full-bodied wine, fennel soup, and tortellini. Galileo’s world changing shopping list. Observing the universe using telescopes of his own invention, Galileo is often credited as the first person to prove the earth is round. Needless to say, he’s the bane of Flat-Earthers! When writing this particular shopping list, Galileo had already successfully demonstrated a telescope that could magnify objects to up to 8 times their size using, pre-made spectacle lenses. But he wanted to improve upon the designs and make something bigger, better, and more magnificent. However, for this he needed to source his own materials. Galileo’s shopping list is intriguing because is starts as an incredibly humdrum grocery list, including items such as spices and lentils. Then it shifts to include more robust items such as crystals and even an organ pipe! This shopping list literally helped change the shape of the world. The shopping list under the floorboards at Knole Hall, as found. Photograph courtesy of the National Trust. If you ever need to take up your floorboards, be sure to take a good look to see what might have fallen beneath them. During restoration work at a stately home, Knole Hall, in the southeast of England, workers found a letter beneath the floorboards of the attic which contained a shopping list. The letter is from high-ranking servant, Robert Draper, to a lower ranking servant, Mr. Billy, to go out and collect items such as “greenfish” (unsalted cod) and items of kitchenware. Oddly, the shopping list was actually for Copt Hall some 36 miles away. So how did it end up at Knole Hall? Marriage between the two families that owned the halls saw many crates of belongings from Copt Hall end up in the attic of Knole Hall. During the move the letter slipped out and slid between the floorboards ending up perfectly preserved beneath them for hundreds of years. Shopping lists are nothing new. Features, like sharing and adding pictures to shopping lists, are clearly not as technologically novel and new as you think. When you make your shopping list, who knows who might find it in several centuries. What will they say about you and the times you lived in? Special thanks to Shaun Usher, author of “Lists of Note”, from which some of these examples have been taken. If you want to see some other fascinating lists, please buy his book from https://unbound.com/books/lists-of-note/. Further thanks to Dr. Joanne Edge and her co-workers at the John Rylands Library, Manchester, who graciously assisted with some of the research for this article. Which artifact surprised you the most? Are your shopping lists a little like Michelangelo’s? What are the strangest things you’ve put on a shopping list, like Galileo? Or do you know of any other historic shopping lists or pieces of shopping history that we’ve missed out? Let us know in the comments.